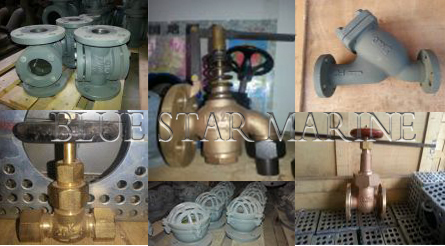 ac Marine Valve – Blue Star Marine Services Co.
We can supply standard JIS marine valves in a wide variety of sizes. 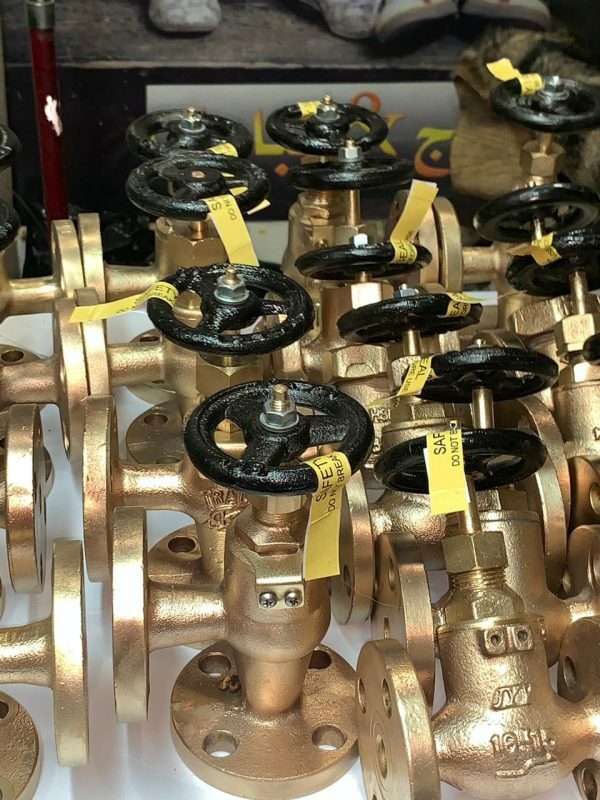 As a reliable JIS marine valve supplier,we control the quality from the casting to the final test to ensure that our product have reliable quality with very competitive price. 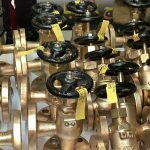 JIS marine valve mainly includes globe valve, check valve, SDNR valve, hose valve, gate valve, storm valve, butterfly valve, quick-closing valve, air vent head, marine strainer and other marine accessories. 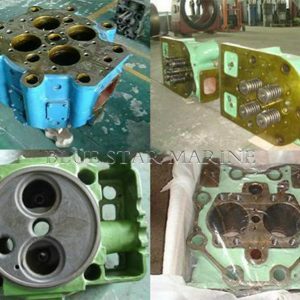 And we always export JIS marine valve to Vietnam, Malaysia,Indonesia, Singapore, England, Germany, Chile, India, South Africa etc..
Deck Machinery Hydraulic System Our company can design and manufacture deck machinery hydraulic system according to ship requirement, such as anchor capstan hydraulic system, launching hydraulic system of workboat, strike mast hydraulic ststem, gangplank hydraulic system, dump dredging hydraulic system and etc. 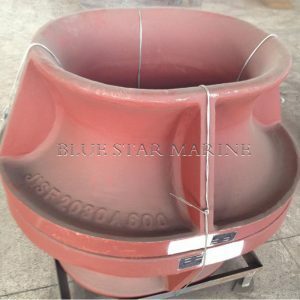 It is widely used for special vessel such as engineering ship, dredging ship, tugboat and etc. 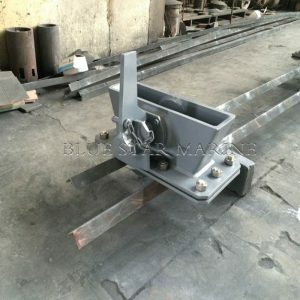 We can manufacture chocks in a wide variety of sizes,standards and styles,also can customized the chock according to your drawing. 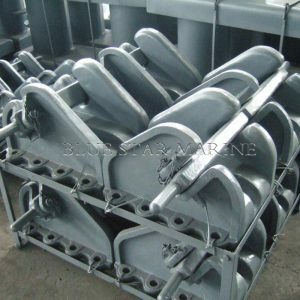 As a reliable marine mooring equipment supplier,we have our own casting factory,ensure our product have reliable quality with very competitive price. 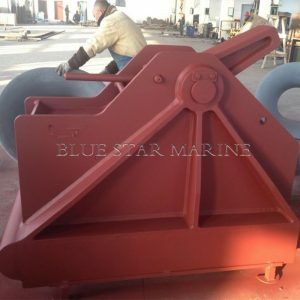 Mooring chock products mainly include: Panama chock (AC), Panama chock (BC), U.S panama chock ,DIN81915 Mooring chock,JIS F 2005-1975 Closed mooring chock, JIS F 2007-1976 Mooring chock,Spain chock, JIS F 2030-1987 Single point mooring chock,EU mooring chock etc. 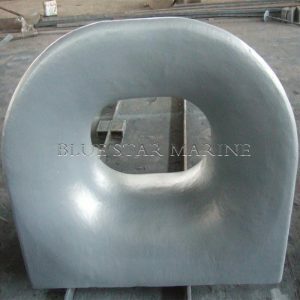 1.Material:cast steel ZG200-400,ZG230-450. 2.CCS,BV,DNV,ABS,mill certificate available. 3.Paint:Normally we adopt Grey Epoxy Primer or Black Bitumen Paint. 4.Packing:Iron shelf or as per your request. 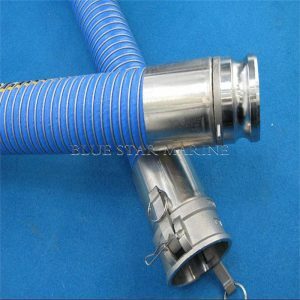 5.Normally,the lead time is 15 to 25 days. We can advance it if you need it urgent. 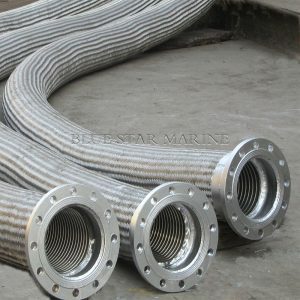 Marine Cable, also called Shipboard Cable, require high performance with halogen-free, low-smoke, safety is important for the marine cable as the sea environment. Our marine cable design and manufacture approved by International Class Society and awarded the type approval certificate accordingly. 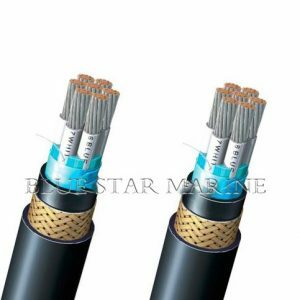 Marine Cable includes marine power cable(0.6/1KV), marine telecommunication cable(250V) and marine control cable(250V). 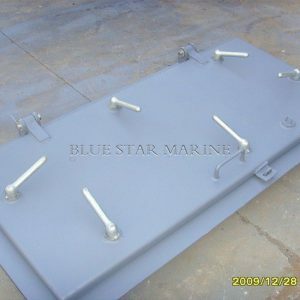 Marine fender can be provided in various sizes and types according to different customer demands. 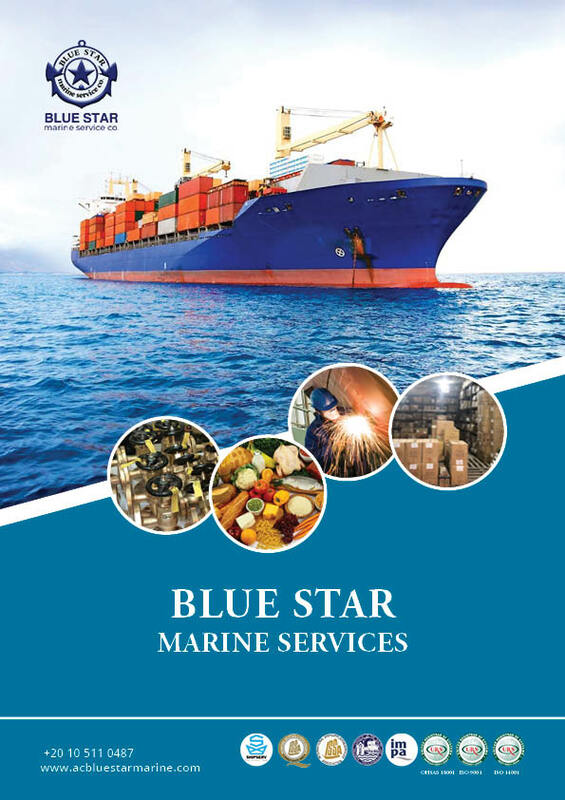 Due to its superior performance, major industries such as oil, mineral ore, offshore construction and drilling, fishing and shipbuilding, as well as port authorities and navies all over the world adopt and support it. 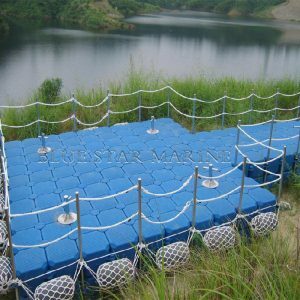 Widely used by large tankers, LPG vessels, ocean platforms, large docks, harbor and wharfs. 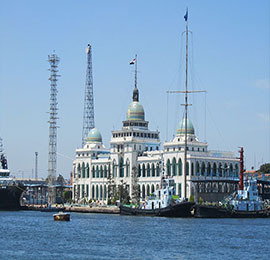 Tankers, Gas Carriers and Bulk Cargo Ships. 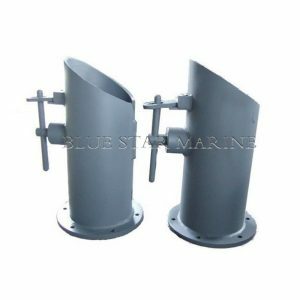 Various types of marine fenders available: Pneumatic rubber fender, Solid foam filled rubber fender,Polyurethane rubber fender,Cone fender,Super Cell Fender,Super M fender,Super V fender,D fender, Corner Fender,Cubic Fender,Element Fender and Port Fenders etc. 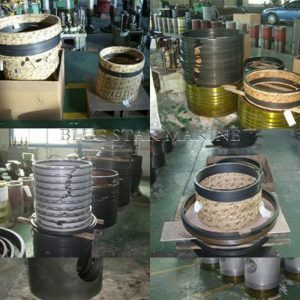 Various standards,different sizes chain stopper can be provide,we can also customized it according to your drawing. 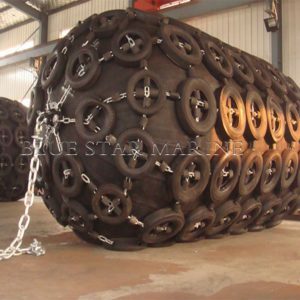 our chain stopper can get approval of CCS,BV,DNV,GL , mill certificate etc. Cast steel chain stopper,cast iron chain stopper,roller type chain stopper,bar type chain stopper,lever type chain stopper,pawl type chain stopper,non standard chain stopper,Smith towing bracket,JISF2029 towing bracket available. 1.can be made by cast iron,cast steel or as requested. 2.Surface Treatment:Polished, galvanized or bitumen painted 3.Reliable quality with competitive price. 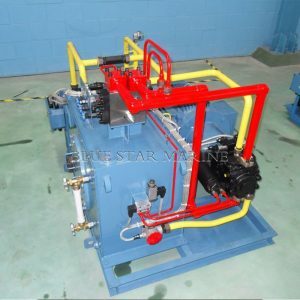 Marine Hydraulic Steering Gear Description 1000kn·m test stand for hydraulic steering gear from our company is the biggest one in China recently. 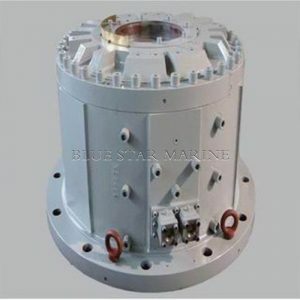 It can simulate practical work condition of ship to load the product during navigation, in addition, it use high-precision digital instrument to automatically test and record the output torque and mechanical efficiency of tested steering gear at any rudder turning angles.The test stand is used for test our steering gears, such as linked cylinder type, ram type and rotary vane type steering gear. Model Introduction YD-(A/B/Z) (X)-(12/20/28)-(Y)-(Z)-(W) YD-Electro-hydraulic steering gear A-Fork type B-Linked Ram type Z-Rotary Vane type X-Torque(kn.m) 12/20/28-Rudder turning time(S) Y-No of Rudder(1-single/2-double/3-three) Z-Control method(ZK-direct control/DK-electronic control/BK-pump control) W:No of motor Usage The electro-hydraulic steering gear is mainly composed by a set of rudder device, electro-controlled pump station, emergency system, operation console and spare oil tank. The rudder devices consist of rudder-pushing device, manual isolation valves, rudder angle indicator etc. 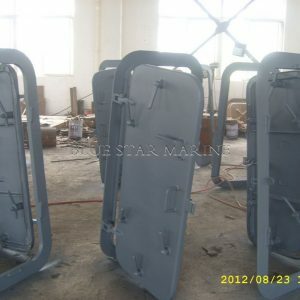 It can be sorted of one single rudder unit, double rudder units, special orders can be 3~4 rudder units. The rudder-driving device is a mechanism which can change hydraulic energy into mechanical energy, by driving the rudder stock moving. 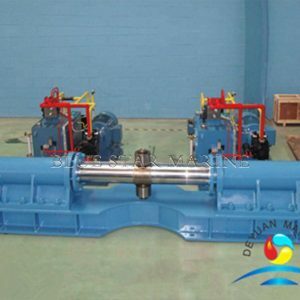 The electro-controlled pump station is a device which supply and control the hydraulic energy. The fuel tank, motor pump group and hydraulic system control valves are integrated.Normaly, the steering gear equipped with two sets of pump stations and can be used alternately. Due to the system's transform can be quick and convenient, the rudder can be controlled both in the cab or engine room. 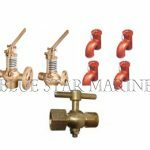 There are many emergency system types according to different navigation zone, such as handle pump, bladder accumulator and DC motor pump sets. 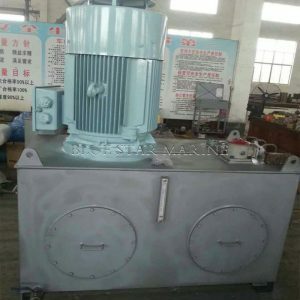 The operate methods of steering gear include manual operation, servo-control, automatic control. Different ships choose different control way.